First post and a start to show my Collection of my Bianchi bikes and Memorabilia. I have to explain something about my interest in the brand. It all begun in the early 80´s when I competed on my bike, I was Young and not the one who was in charge of the Money ( my mum was) and I Always wanted a Bianchi, but instead I got a Crescent, Moser and finally a Peugeot. Why I fancy the Bianchi bikes? I loved the colour and how the jerseys looked like. But later on after work and becoming a father and a husband I wanted to exercise on the bike again, at that Point I had a terribly bike with the brand "Peak", but I hadn´t forgot what I wanted when I was Young, so when I saw a store in Uppsala / Sweden Selling Bianchibikes I took the gamble and "risk" and bought myself a nice celeste coloured Bianchi C2C Via Nirone, in my opinion a Bianchi ALWAYS should be in the colour celeste, it´s like buying a Ferrari, you don´t buy a Ferrari in any other colours than red... or? 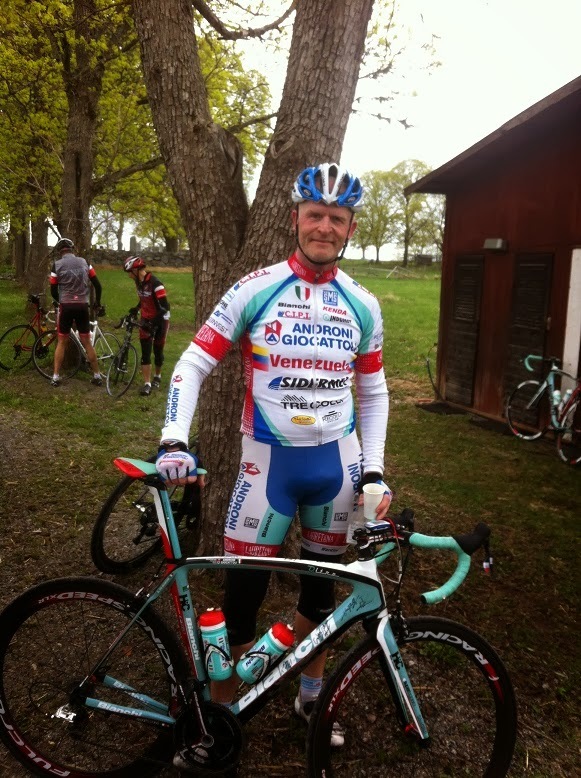 Since then I am stucked, and the brand Bianchi have given me a lot of experiences and joy. I have meet several of the leading persons of the brand, including the many riders who have ride a Bianchi since several years. 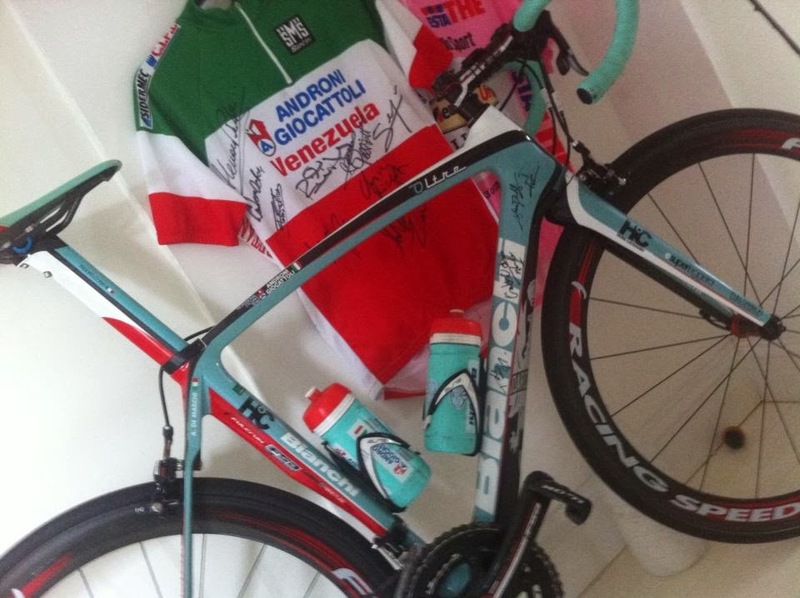 I will not name any riders beside signed stuff, because I don´t want all Bianchi fans taking the opportunity to write to them and ask if they can have/buy stuff. Oh well I must admit that I have paid for the most things you see. in this blog. No I don´t get the bikes for free, I pay for them.